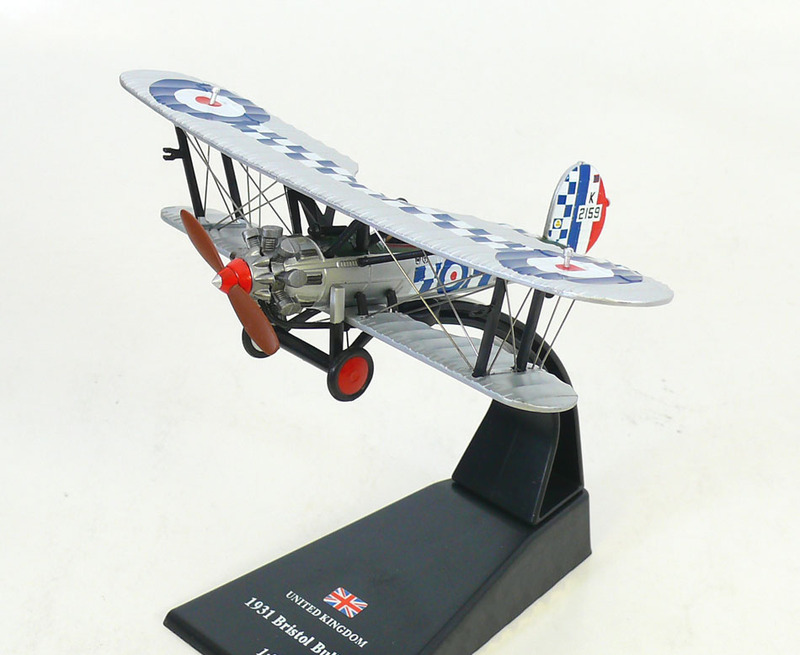 The Bristol Bulldog was a British Royal Air Force single-seat biplane fighter designed during the 1920s by the Bristol Aeroplane Company. 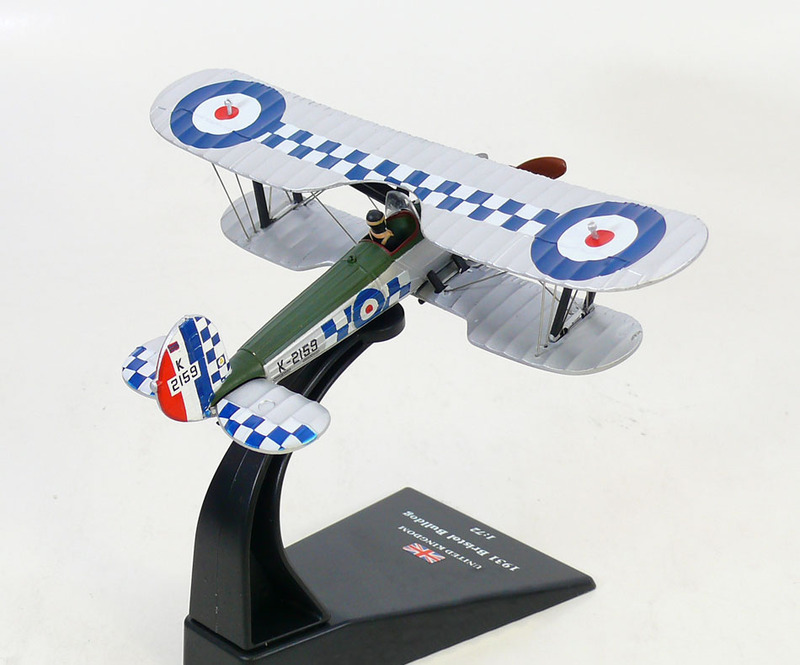 Over 400 Bulldogs were produced for the RAF and overseas customers, and it was one of the most famous aircraft used by the RAF during the inter-war period. The Bulldog never saw combat with the RAF, although during the Abyssinia Crisis of 1935–36, Bristol Bulldogs were sent to the Sudan to reinforce Middle East Command. Douglas Bader, better known for his Second World War actions, lost both of his legs when his Bristol Bulldog crashed while he was performing unauthorised Aerobatics at Woodley airfield near Reading. The Bulldog was withdrawn from RAF Fighter Command in July 1937, being primarily replaced by the Gloster Gauntlet. The Bulldog's RAF career was not over though, for the type continued to serve for a few years with Service Flying Training Schools. The Bulldog proved to be quite a successful export to foreign air forces, seeing service with Australia, Denmark, Estonia, Finland, Japan, Latvia, Siam and Sweden. In 1936, Latvia, keen to replace its elderly Bulldogs with more modern aircraft, sold 11 Bulldogs to Basque nationalist forces; becoming part of the Spanish Republican Air Force in the Spanish Civil War, they remained in use until the Battle of Santander. Nineteen Bulldogs also saw combat as part of the Finnish Air Force during the Winter War against the Soviet Union, which began in 1939. The Bulldogs fought well against their Soviet opponent, gaining six kills by five pilots for the loss of one of their own, the types shot down being two Polikarpov I-16s and four Tupolev SBs, both of which were superior in terms of technology compared to the Bulldog. The first aerial victory of the Finnish Air Force was achieved by a Bulldog piloted by SSgt Toivo Uuttu on 1 December 1939, over an I-16. The Bulldogs were used in advanced training during the subsequent Continuation War against the Soviet Union.